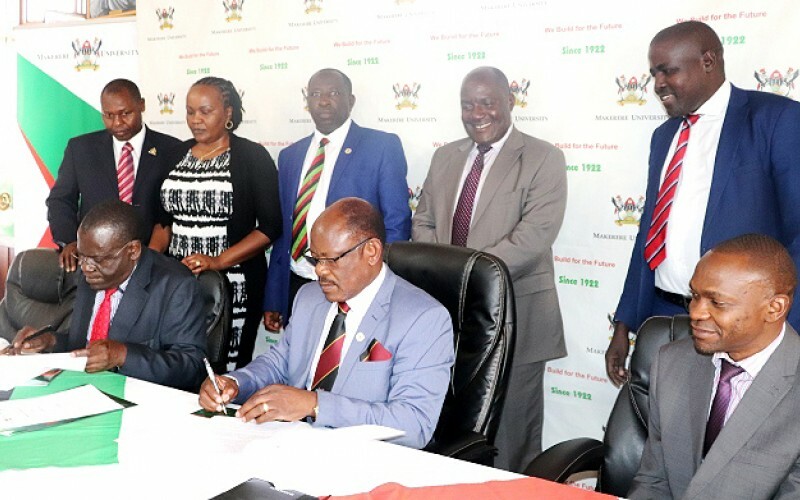 MAKERERE – Makerere University and Mount Kenya University (MKU) on Monday, January 14, officially expanded their collaboration to institutional level following the signing of a Memorandum of Understanding (MoU). Signed on behalf of Makerere by the Vice Chancellor, Prof. Barnabas Nawangwe and on behalf of MKU by the Vice Chancellor, Prof. Stanley Waudo, the MoU is a follow-up of an earlier one signed on September 19, 2017 between the two institutions’ Colleges of Health Sciences. Makerere’s College of Education and External Studies (CEES) has also been collaborating with MKU’s School of Education since 2017. 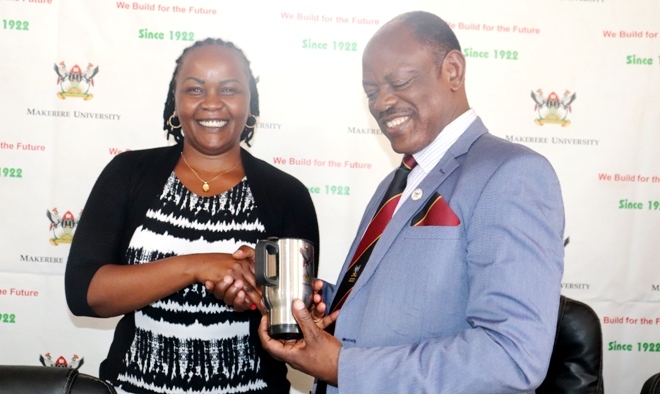 Welcoming the delegation to Makerere, Prof. Nawangwe commended MKU and colleagues in Makerere for all the progress made since the initial agreement was signed at college level. “Collaboration is the way to go. We should emulate Universities in the US and Europe which are reaping a lot from grants through joint applications. I therefore encourage all colleagues engaged in partnerships with Mount Kenya University to jointly apply for grants. This way, we shall be able to attract bigger funding for our research activities” remarked Prof. Nawangwe. The Acting Director, Gender Mainstreaming Directorate (GMD), Dr. Euzobia Mugisha Baine reiterated Makerere’s regional leadership in institutionalising gender in University functions. In 2001, the Gender Mainstreaming Programme was initiated under the Department of the Academic Registrar and has in the last ten years transitioned from the Gender Mainstreaming Division to the Gender Mainstreaming Directorate. “It is good to learn that Mount Kenya University has adopted a Gender policy. However, from our experience, you need to develop and implementation framework in order to effectively implement the policy” advised Dr. Mugisha. In his remarks, the Director, Directorate Research and Graduate Training (DRGT), Prof. Buyinza Mukadasi shared with the visiting delegation Makerere’s current drive to be a research-intensive university. “The Directorate of Research and Graduate Training coordinates the institution research efforts at college and project levels. We are reaping big from international collaborations with each of the ten colleges and Principal Investigators (PIs) attracting research grants for the various projects” remarked Prof. Buyinza.